CNN's first Democratic debate of the season scored a bigger online audience than its first Republican debate, according to the network's internal measurements. 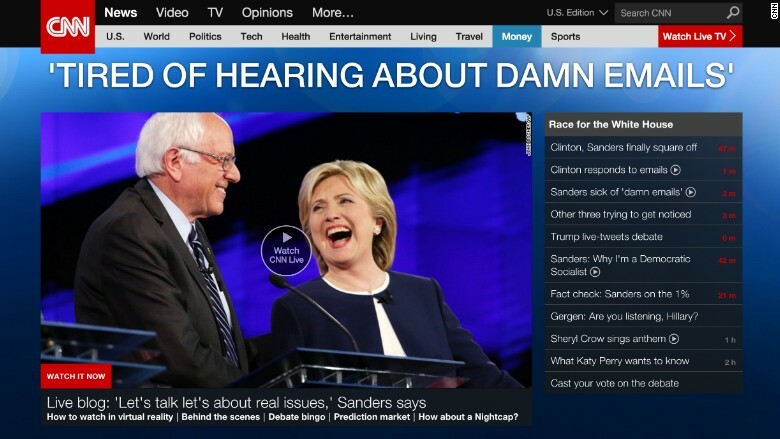 The live stream peaked at 980,000 concurrent live streams around 10:20 pm Eastern Time, a CNN spokesman said. The network's GOP debate on September 16 peaked with 921,000 concurrent streams. 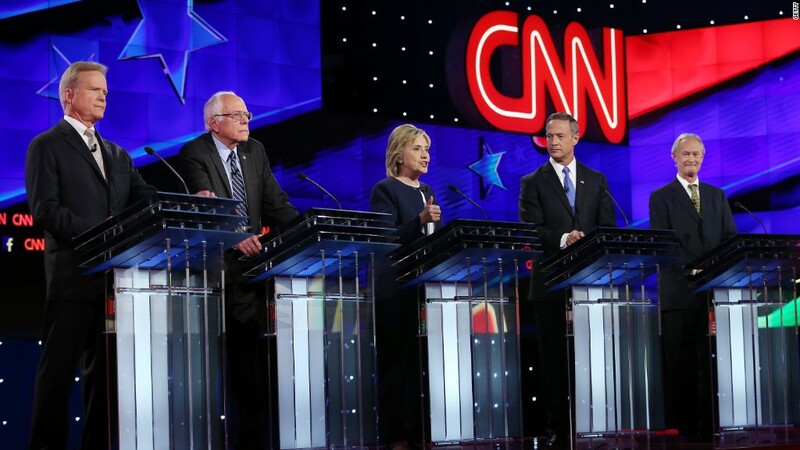 The TV ratings for the Democratic debate will come in on Wednesday. There is unanimous agreement that the total audience will be lower than the 23 million who tuned in for the network's GOP debate. The record viewership levels that night were fueled by the participation of Donald Trump. But the early data for the live stream shows that there was still ample interest in the Trump-less debate. It makes sense that the Internet audience is bigger this time around. Among other factors, support for the Democratic Party skews younger, and streaming behavior skews younger as well. CNN normally only streams its live programming to American cable and satellite subscribers who log in with a password. But for each debate the network provided a free live stream option. The stream was promoted on CNN.com's home page and through its apps. CNN also offered a virtual reality version of the debate, marking the first time that a news event was live-streamed to the Samsung GearVR headset. According to internal data, people in at least 73 countries logged onto the VR live stream. The network's normal streaming site for cable subscribers, called CNNgo, strained to keep up with demand on Tuesday night, and some users said it stopped working for them. "A data center issue, which has been resolved, impacted CNNgo for about 30 minutes," the network spokesman said. But the special home page live stream seemed stable all evening, despite concerns that it would become overwhelmed. Web streaming remains a relatively new technology; few events have come close to one million simultaneous viewers. The Super Bowl earlier this year had a concurrent audience of 1.3 million web viewers at its peak toward the end of the game.